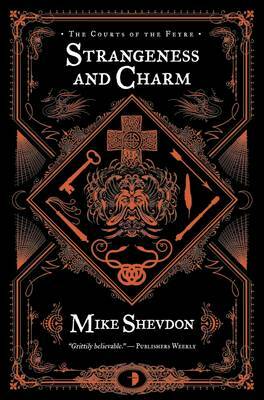 Mike Shevdon’s ‘Strangeness and Charm’ is the third instalment of the Courts of the Feyre series. Niall our chief protagonist has rescued a number of half-fey from the Bedlam research facility but this has left a number of these potentially dangerous individuals living out among the masses, and he has now been sent to bring them in. Some of the action still takes place in and around London, including Borough Market in South London. This outing also finds us visiting Glastonbury, another very interesting (but much smaller) city. Now I’m not sure which came first, this book or this song (below) but they are well matched and as a trailer is absent enjoy the sounds.